Standing on the upper banks of the Caledonian Canal, Strone Farm House is surrounded by spectacular views of the Great Glen and Ben Nevis, Britains highest mountain. 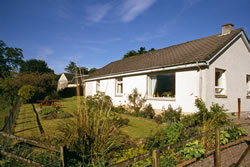 Strone Farm House is in a rural position some seven miles north of Fort William and sits within a working stock farm. 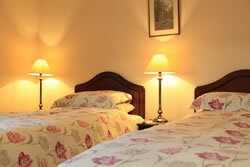 Strone Farm House offers comfortable and relaxing self-catering accommodation all year round. 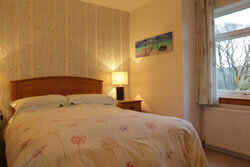 The bungalow can comfortably accommodate up to six adults in three en-suite bedrooms. Pets are welcome for a small charge. 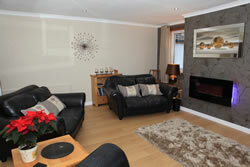 A hospitality tray, set with delicious home baking welcomes you on arrival to this relaxing, peaceful Highland haven. 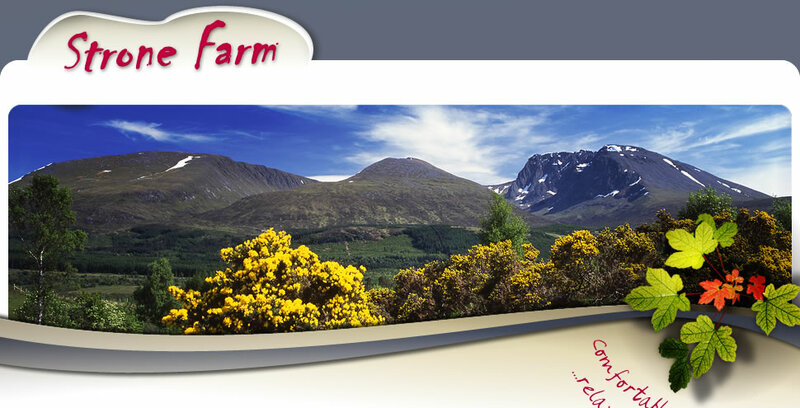 With all this, Strone Farm House provides the perfect base from which to explore Fort William, Lochaber and the West Highlands! 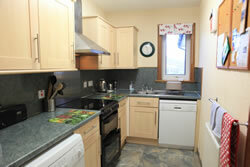 Oil-fired central heating throughout. Times are preset. Additional hours required will be charged at cost. Picnic bench in garden for visitors to enjoy watching the buzzards. Off road parking for three cars. WE NOW HAVE A SECURE SHED FOR ALL YOUR BIKES ETC. 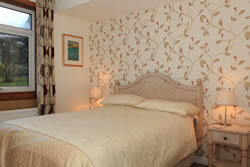 Strone Farm House is the perfect place to unwind after a busy day of walking and sight-seeing. What could be better than sitting in the comfortable lounge, gazing on the north face of Ben Nevis and listening to the sounds of the countryside?